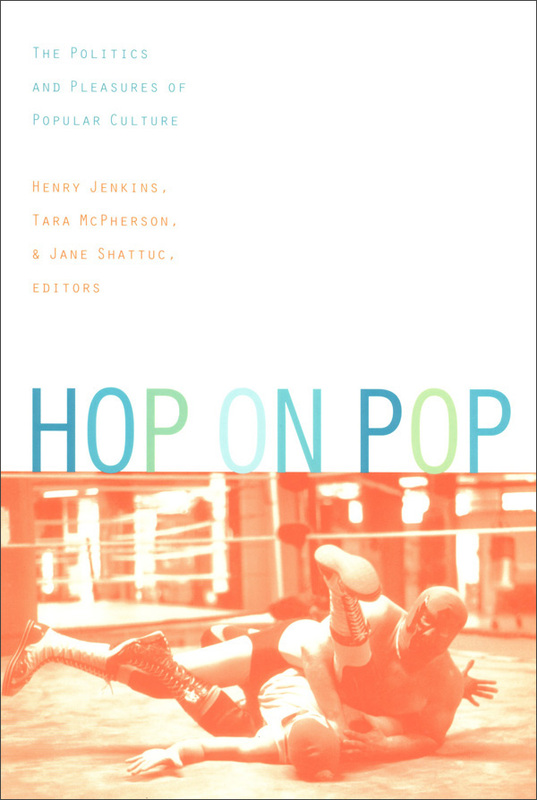 Hop on Pop showcases the work of a new generation of scholars—from fields such as media studies, literature, cinema, and cultural studies—whose writing has been informed by their ongoing involvement with popular culture and who draw insight from their lived experiences as critics, fans, and consumers. Proceeding from their deep political commitment to a new kind of populist grassroots politics, these writers challenge old modes of studying the everyday. As they rework traditional scholarly language, they search for new ways to write about our complex and compelling engagements with the politics and pleasures of popular culture and sketch a new and lively vocabulary for the field of cultural studies. The essays cover a wide and colorful array of subjects including pro wrestling, the computer games Myst and Doom, soap operas, baseball card collecting, the Tour de France, karaoke, lesbian desire in the Wizard of Oz, Internet fandom for the series Babylon 5, and the stress-management industry. Broader themes examined include the origins of popular culture, the aesthetics and politics of performance, and the social and cultural processes by which objects and practices are deemed tasteful or tasteless. The commitment that binds the contributors is to an emergent perspective in cultural studies, one that engages with popular culture as the culture that "sticks to the skin," that becomes so much a part of us that it becomes increasingly difficult to examine it from a distance. By refusing to deny or rationalize their own often contradictory identifications with popular culture, the contributors ensure that the volume as a whole reflects the immediacy and vibrancy of its objects of study. Hop on Pop will appeal to those engaged in the study of popular culture, American studies, cultural studies, cinema and visual studies, as well as to the general educated reader. "A lively travelogue of the ‘lively arts,’ Hop on Pop cheerfully transcends political, personal, and professional boundaries to offer a sprawling rainbow map of popular culture and exposes those old boundaries for the sneetch-like spooks they truly are." Henry Jenkins is Anne Fetter Friedlaender Professor of Humanities and Director of the Comparative Media Studies Program at Massachusetts Institute of Technology. He is the author of editor of several books including Textual Poachers: Television Fans and Participatory Culture and The Children’s Culture Reader. Tara McPherson is Associate Professor of Cinema and Television at the University of Southern California and author of Reconstructing Dixie: Race, Gender, and Nostalgia in the Imagined South. Jane Shattuc is Associate Professor of Visual and Media Arts at Emerson College. She is author of The Talking Cure: Television Talk Shows and Women and Television, Tabloids, Tears: Fassbinder and Popular Culture.